Inspired by Classic architectural scroll work scrollwork the elegant Lancaster address plaque embodies the spirit of historic craftsmanship combined with modern day techniques pattern making and metal casting. 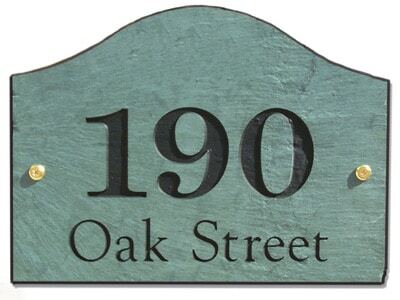 The result is a fine architectural styled address plaque that will grace the entryway of your home. 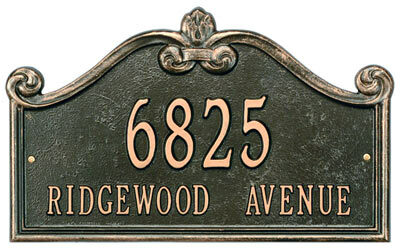 Shown in Bronze with Gold Letters, the Lancaster address plaque comes in 5 finish combinations. 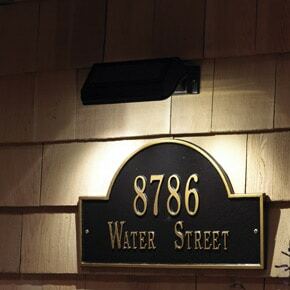 The Lancaster One Line Standard Address Plaque holds up to seven 3″ numbers. 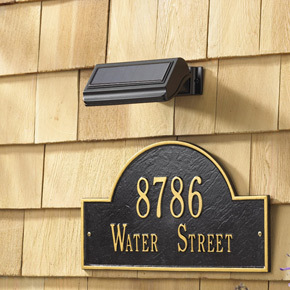 The Lancaster Two Line Standard Address Plaque holds up to five 3″ numbers on the 1st line and up to seventeen 1.25″ characters on the 2nd line. 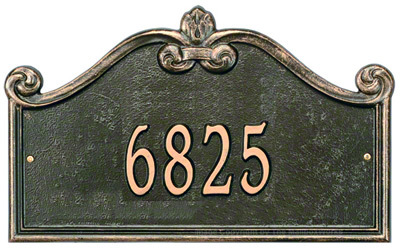 The Lancaster One Line Estate Address Plaque holds up to seven 4″ numbers. 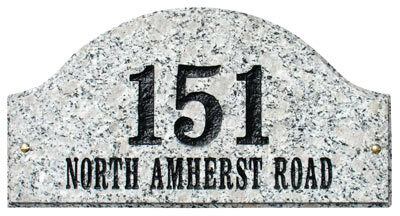 The Lancaster Two Line Estate Address Plaque holds up to five 4″ numbers on the 1st line and up to seventeen 1.75″ characters on the 2nd line. 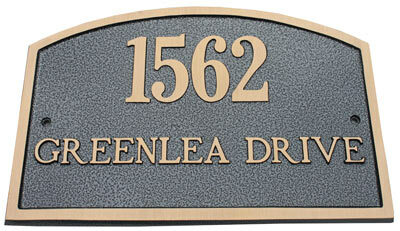 Standard Size Plaque 10" 16.5" 0.375"
Estates Size Plaque 13.75" 22.75" 0.375"